PHOENIX, Ariz. — Just how radical can the game of tennis get? 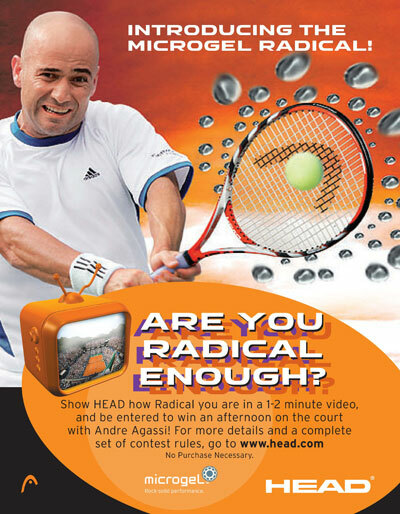 HEAD is asking tennis fans around the world to weigh in with a new “Are You Radical Enough?” promotion that will coincide with the launch of the new MicroGel Radical racquet. Fans can submit their videos on HEAD.com starting Tuesday, May 29, 2007. Entries must be received by 11:59 p.m. ET, July 8, 2007.